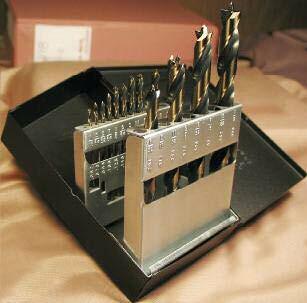 We are proud to offer what we feel to be the best drill bits on the market while being reasonably priced. The high quality American Made Norseman brand of brad point drill bits are designed, engineered and manufacturered in Minnesota from high quality Hi-Molly high-speed tool steel. These high performance drills are not only made from Hi-Moly tool steel but will cut holes in wood or plastics and leave no burr. The special BURROUT™ point cuts at the circumference of the hole to avoid the break through burr problems common with standard point drills.